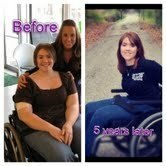 I have always been a heavier girl, but after my car accident at 11 years old that left me paralyzed from the waist down. Unable to move my legs at all. I gained more weight a lot faster and ate more food to cope with my new life. After high school I realized I had to make a life change. With the support of a great doctor he helped me change my diet plan. Lots of veggies and protein. At college I worked out consistently and ate health and managed to lose a dramatic amount of weight. As a senior in high school I weighted over 200 lb at 5 feet 11 inches, but after college I weight between 160 to 170. 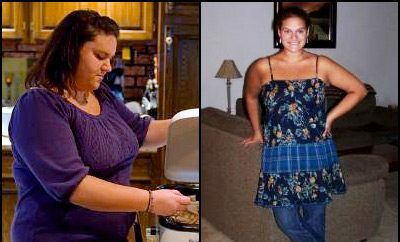 I lost the weight by just eating right and the exercise of my upper body because of the fact I had no mobility from the waist down.